Researchers may finally be closing in on a way to screen healthy women for ovarian cancer - a disease that rarely shows symptoms until it's too late to cure. A simple blood test followed by ultrasound exams as needed found deadly tumors before they caused symptoms, and without giving too many false alarms, doctors reported Thursday. The study, in more than 3,000 American women, is not big enough to justify screening with this method now. But doctors are encouraged because it confirms early results from a much larger study under way in England that will give a clear answer in a few years. More important, the U.S. study suggests that this approach can find aggressive tumors - the ones that threaten lives - without putting many healthy women through unnecessary follow-up tests. Very few women needed exploratory surgery after screening, and of those who did, one in three turned out to have an invasive cancer. The method "is starting to look very, very promising," said the study's leader, Dr. Karen Lu of the University of Texas M.D. Anderson Cancer Center in Houston. She gave results Thursday in a telephone briefing and will present them next month at an American Society of Clinical Oncology conference. Federal grants and several foundations paid for the study. Lu's colleague, Dr. Robert Bast, helped invent the $150 blood test used in the study and gets royalties from its maker, Fujirebio Diagnostics Inc.
Other experts unconnected with the work said the results were encouraging. "Not too many women were referred for unnecessary surgery," and all of the aggressive cancers that were detected were found in an early, curable stage, said Dr. Laura Havrilesky, a women's cancer specialist at Duke University. Ovarian cancer is so deadly because nearly 80 percent of cases are found at an advanced stage. 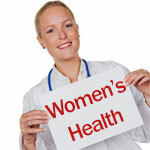 About 21,550 women were diagnosed with it, and 14,600 died in the U.S. last year. When found early, five-year survival is 94 percent, according to the American Cancer Society. Researchers have been testing CA-125, a protein in the blood that is high in many but not all women with ovarian cancer. It can be high for many reasons - uterine fibroids, harmless cysts and even other types of cancer - so it's not accurate enough to be used alone for screening. The new study tested it as a first step for screening 3,252 women, ages 50 to 74, with no strong family history of breast or ovarian cancer. All had a baseline test and were grouped as low, medium or high risk based on their initial CA-125 levels and how much those levels changed over time. The low risk group repeated the blood test in a year. The middle group got another test in three months. Those at high risk - about 1 percent of women each year - were referred for an ultrasound exam, which costs around $300, to look for signs of cancer. Over nine years in the study, 85 women were sent for the exams, and eight ultimately had exploratory surgery to see if they had cancer. (Unlike many other forms of cancer, doctors can't do a biopsy for ovarian cancer without an operation). Five of the eight women who had operations turned out to have cancer: Three had aggressive tumors, and two had cancer that had not yet become invasive. The other three had benign tumors. Two noninvasive cancers were missed by screening. "We only needed to do three surgeries to pick up one case of invasive cancer," Lu said. "That sounds a lot more acceptable" than the 10 surgeries needed to detect one case that a previous study found when using the blood test by itself, said Dr. Otis Brawley, the Cancer Society's chief medical officer. "This may very well be getting closer to something useful," Brawley said of the new screening approach. The real test, though, is whether it saves lives - what the study of 200,000 women in the United Kingdom will show. Dianne Klefstad, 61, of Houston, is betting it will. She took part in the U.S. study, and her tumor was found after her fourth blood test. When doctors said she had cancer, "I couldn't believe it. I had no symptoms," she said. The screening "saved my life, I think."